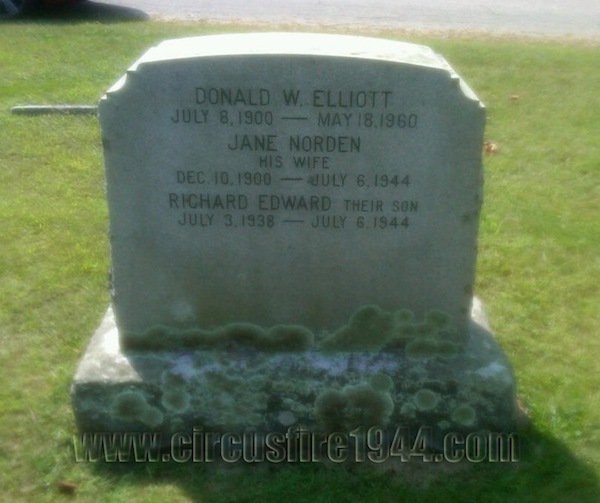 Richard Edward Elliott of 17 Center Street, Wethersfield, was born July 3, 1938 in Willimantic, son of Connecticut natives Jane (Norden) and Donald W. Elliott. 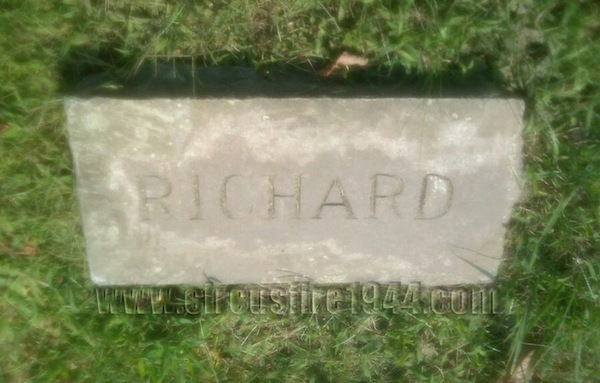 Richard and his mother, Jane, were found dead at the circus grounds after the fire on July 6, just a few days after his sixth birthday. Mother and son were buried at the New Willimantic Cemetery in Willimantic after services at the Taylor & Modeen Funeral Home. Richard leaves his father, Donald W. Elliott, 43, and his brother, William, 13. 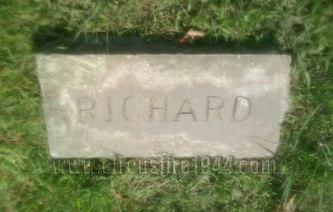 Body #4587 was identified at the State Armory as Richard Elliott on July 8 by his uncle, Hans C. Christensen of Bloomfield. Richard had recently finished kindergarten and was ready to start first grade in the fall. He was in excellent health, and a lively, active, and intelligent little boy. 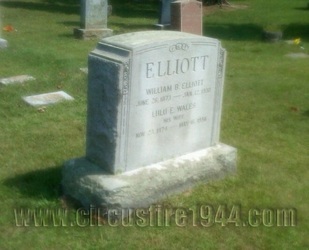 His estate was awarded $6,500 by the arbitration board.